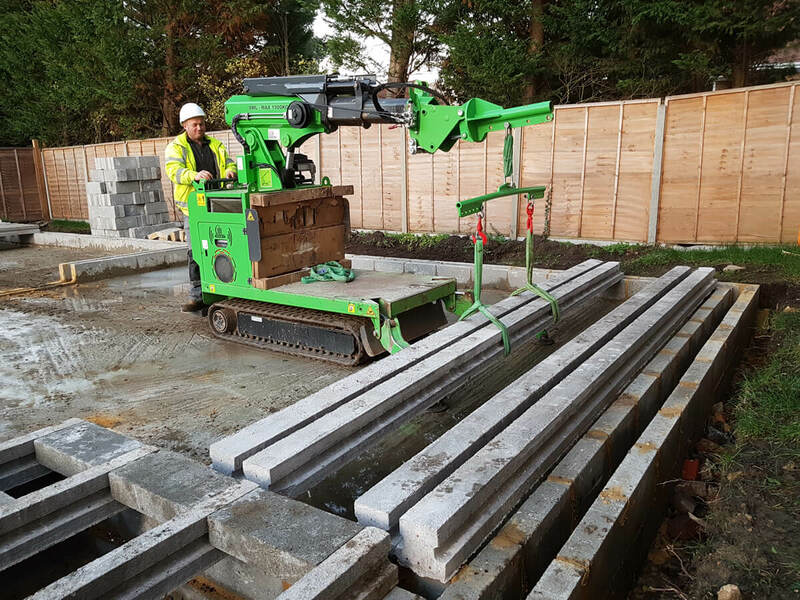 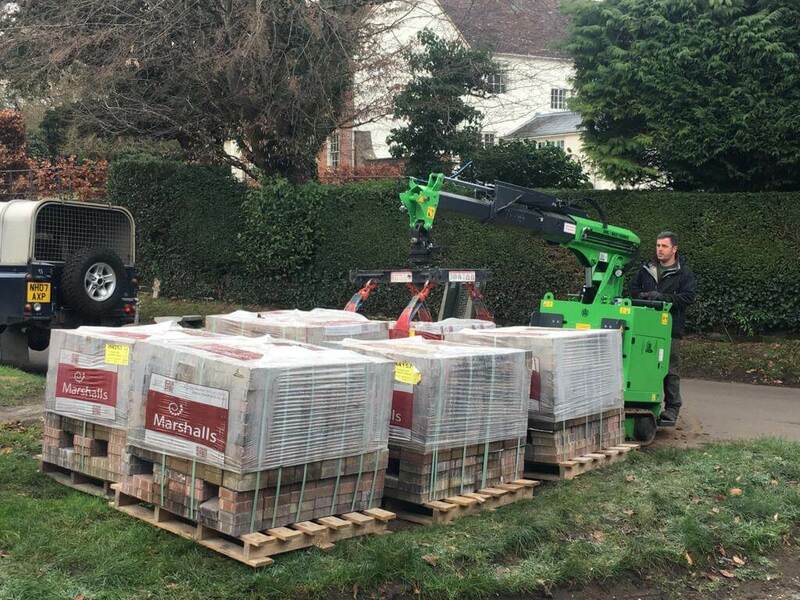 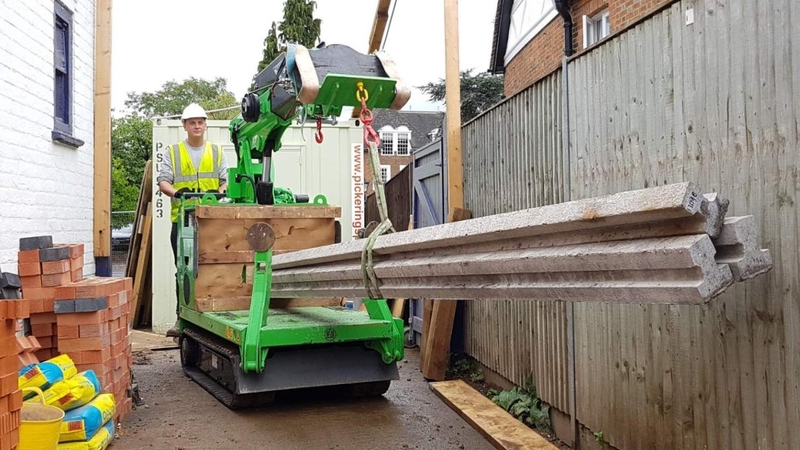 The Hooka was hired in to a huge Block and Beam flooring project in Esher, where each of the large profile concrete beams weighed 340kg. 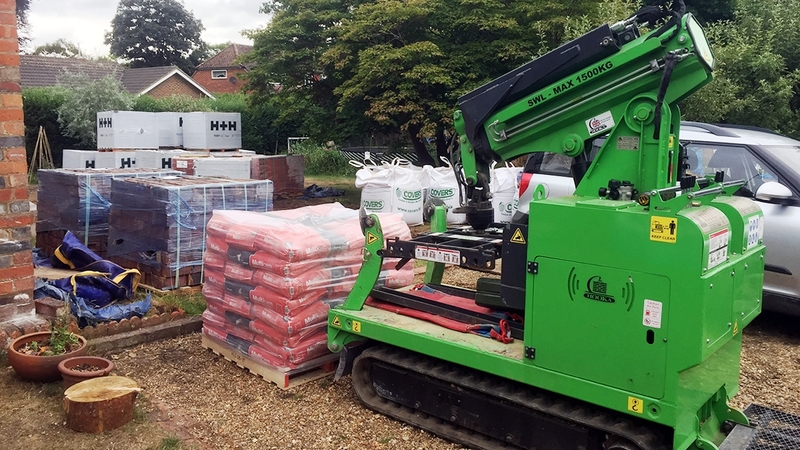 With 40+ heavy beams to move, along with the pallets of concrete infill blocks, there were alot of materials to shift. 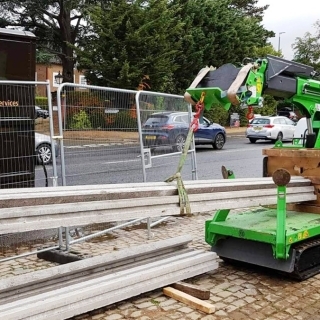 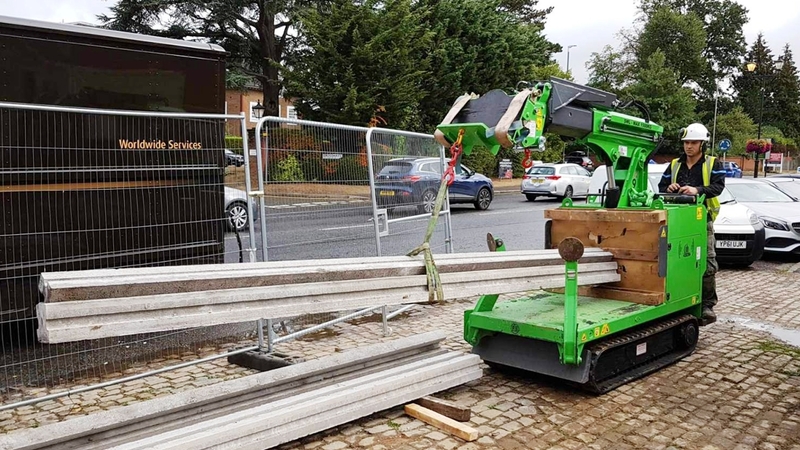 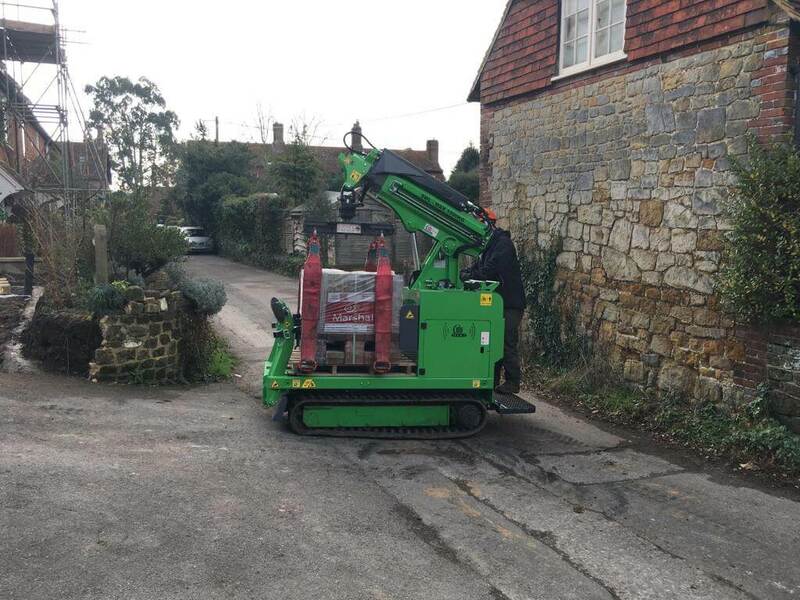 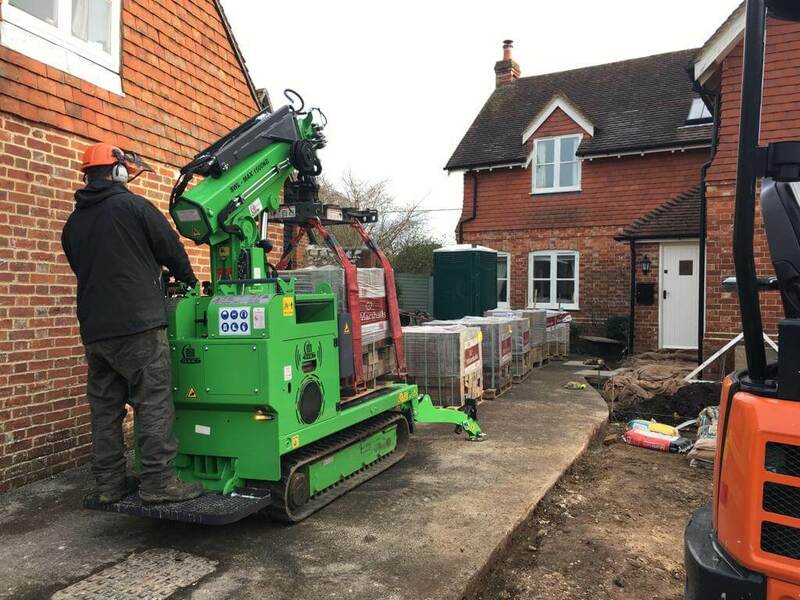 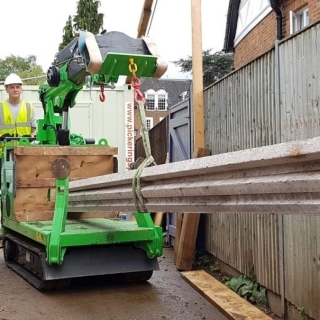 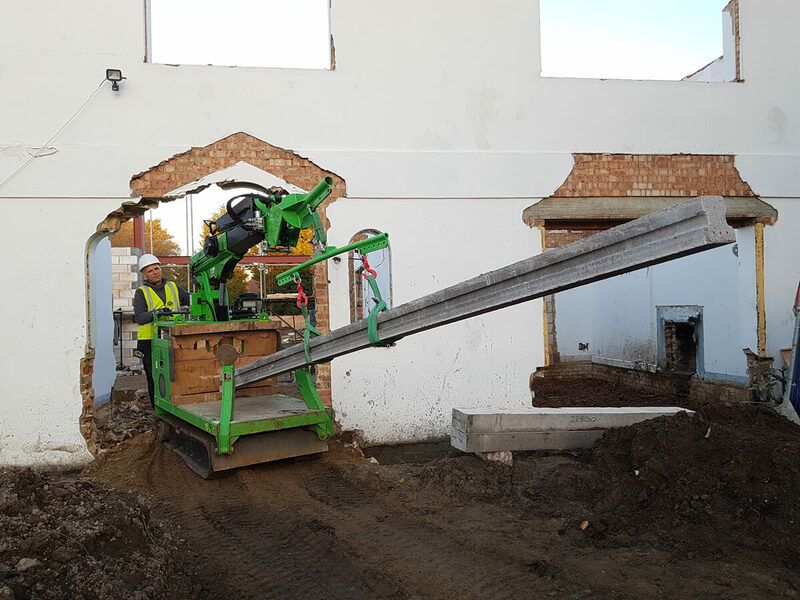 The Hooka started by lifting and transporting the large individual 6.2 metre long concrete beams lengthways, so it could get through the restricted access doorway in the front of the property. 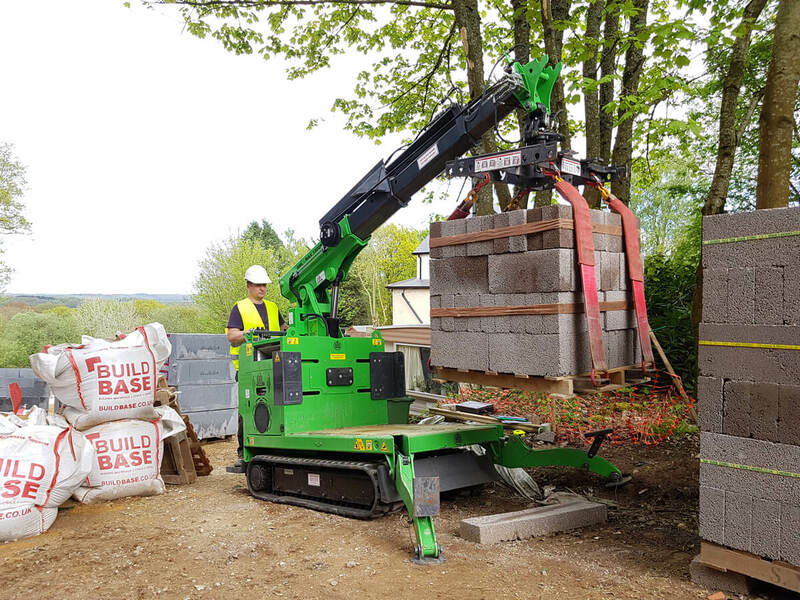 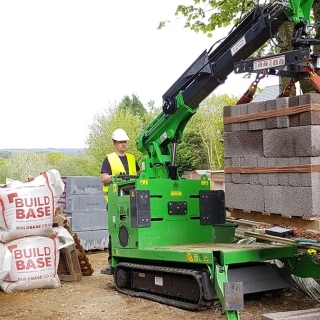 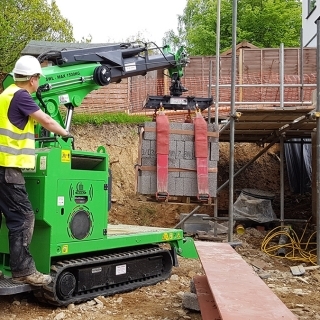 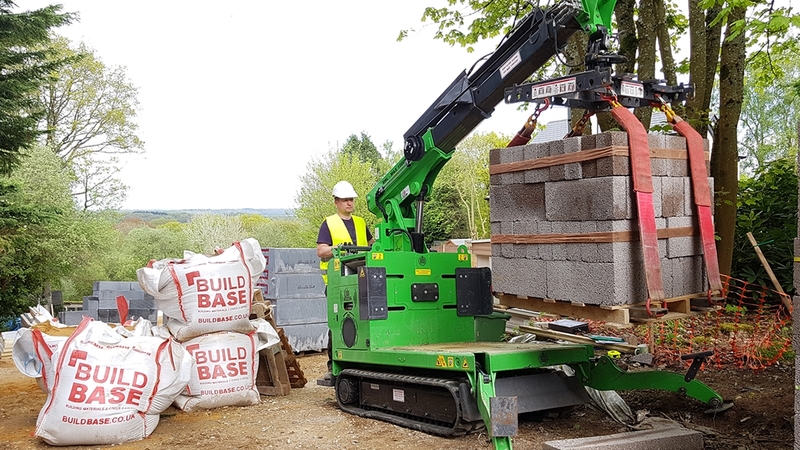 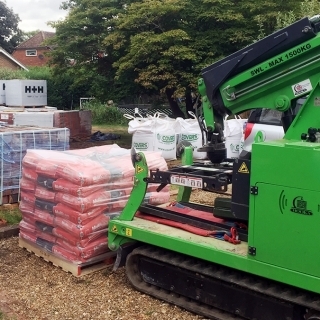 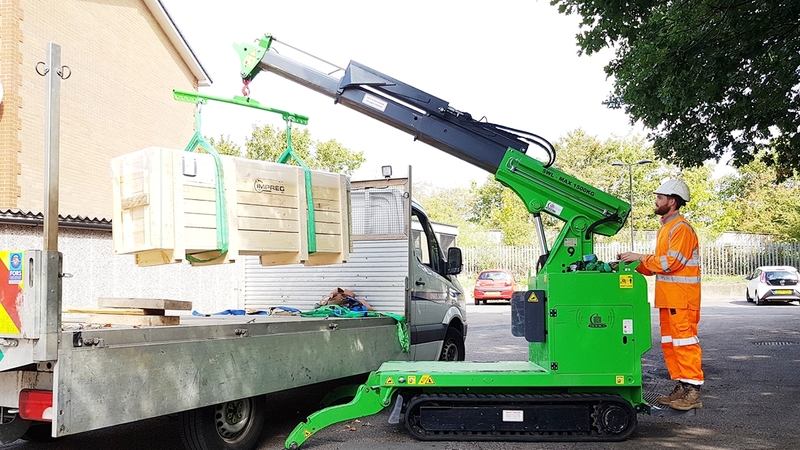 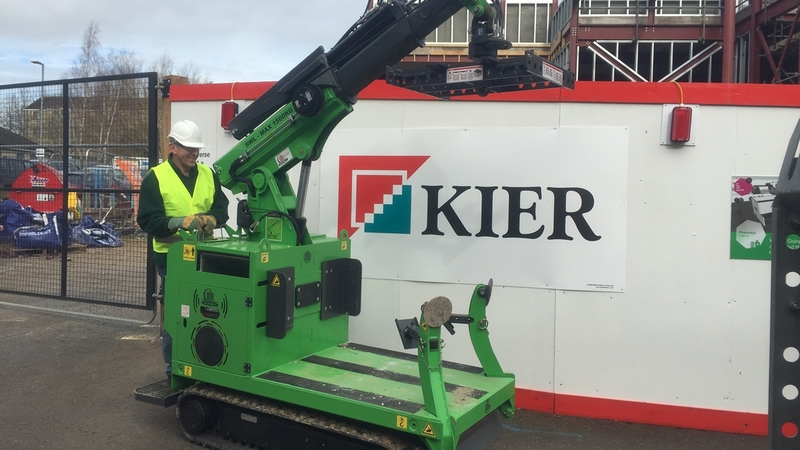 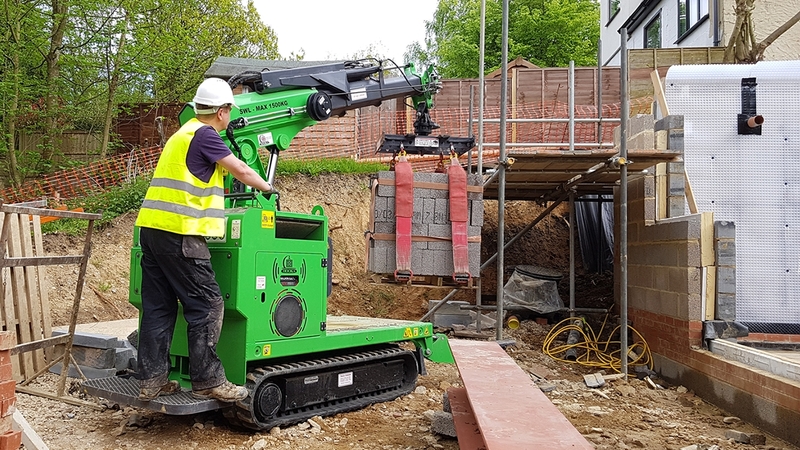 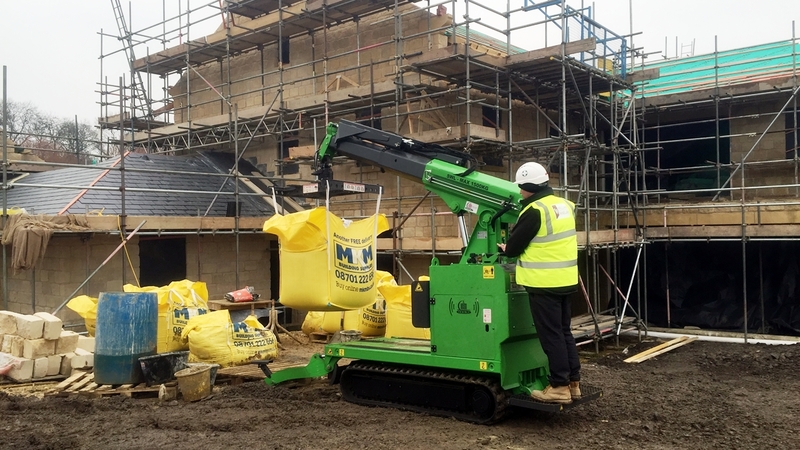 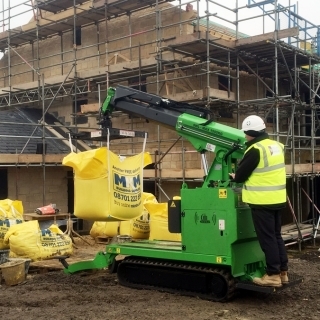 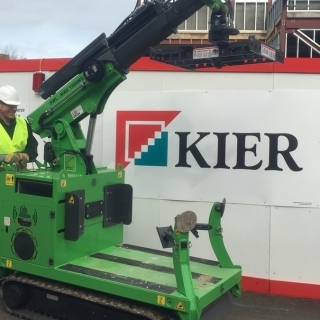 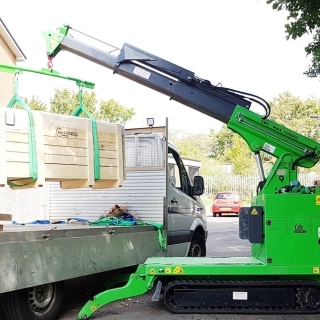 Kier Construction hired the Hooka, mini tracked crawler crane, on site at Bath Hospital for around 3 months to safely and easily move all their building and construction materials to point of use throughout the project. 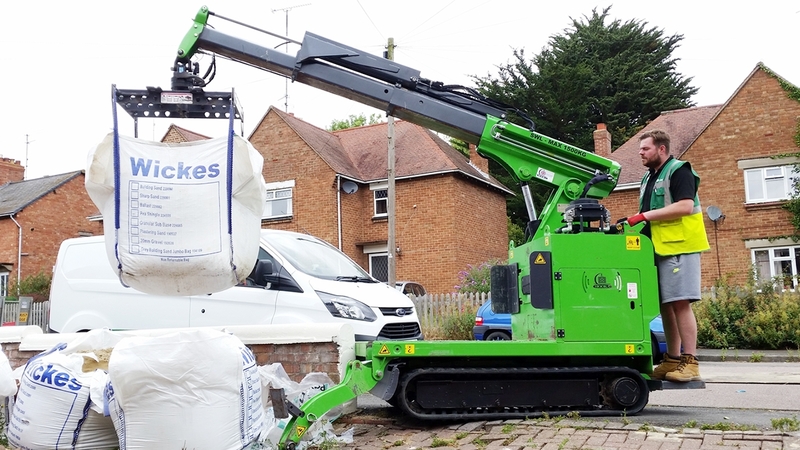 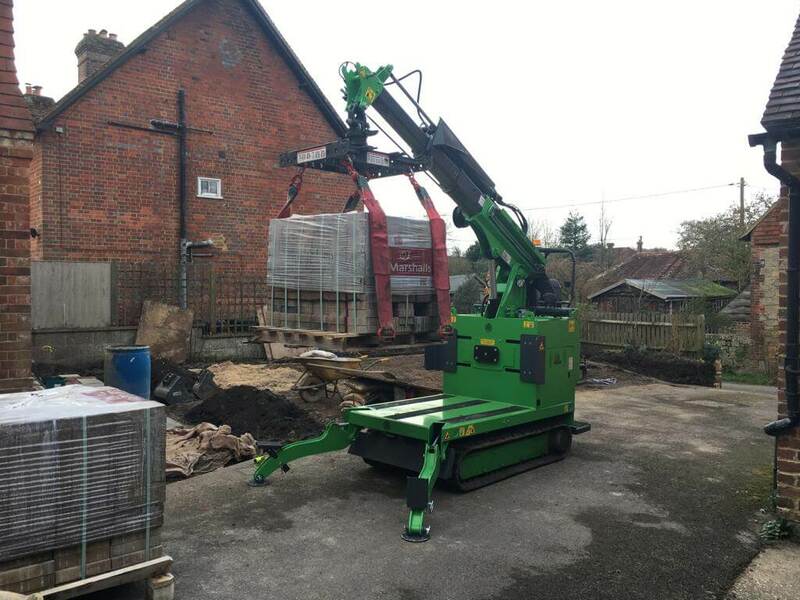 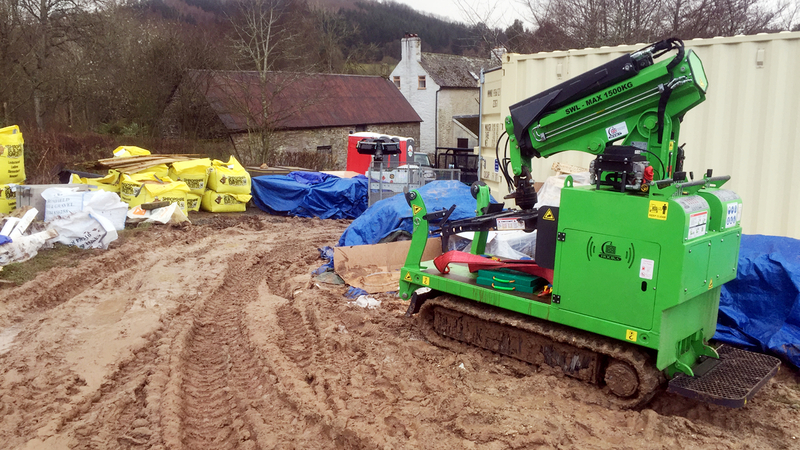 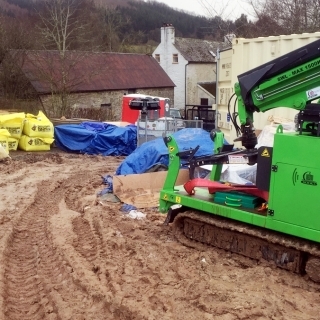 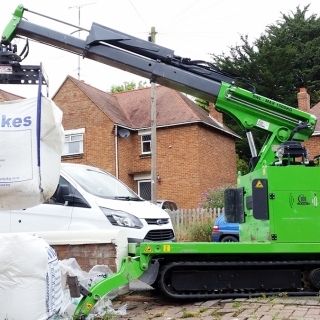 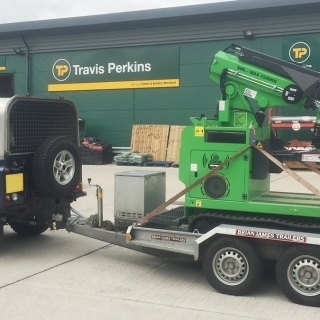 DIY SOS hired the Hooka, mini tracked crawler crane, on a waterlogged project in Shropshire. 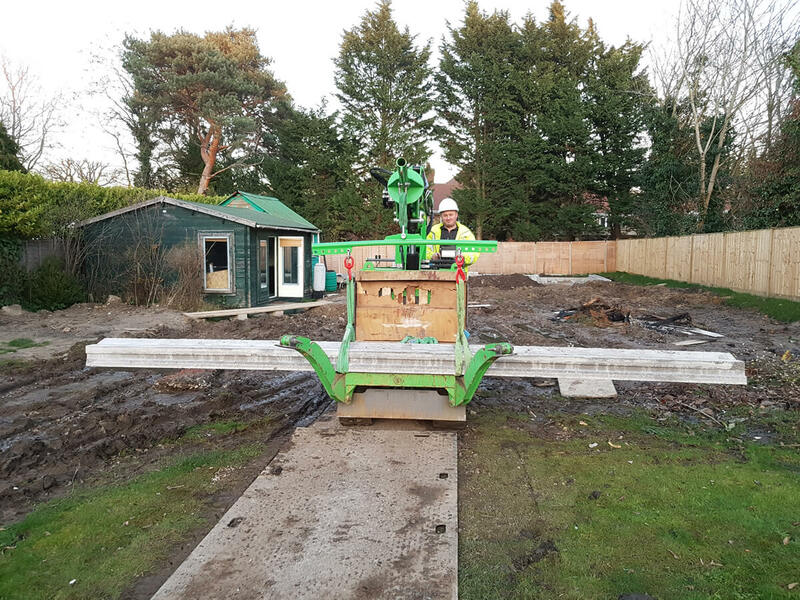 The Hooka with its amazing tracked base and lifting capabilities proved itself invaluable due to the adverse ground conditions caused by days of torrential rain. 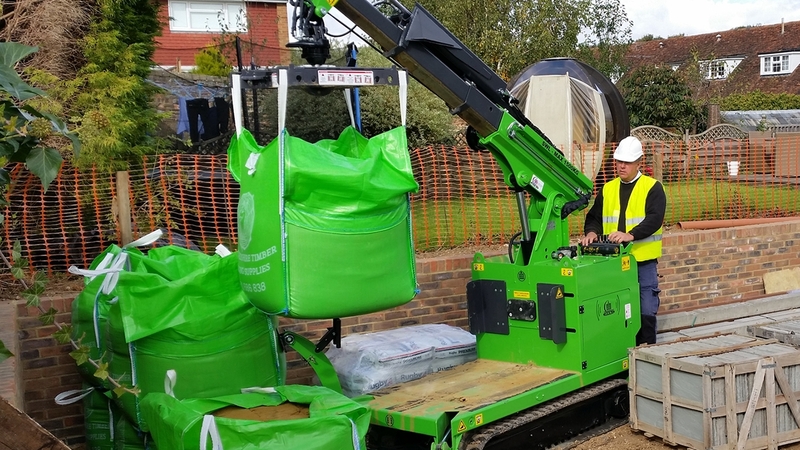 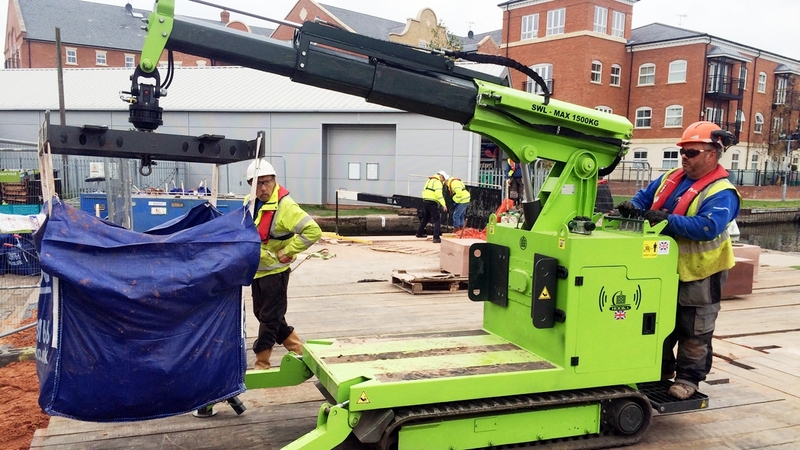 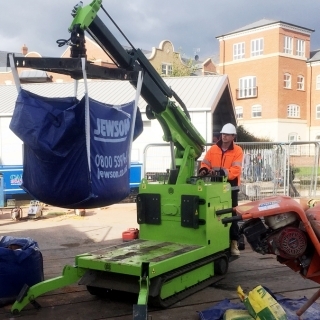 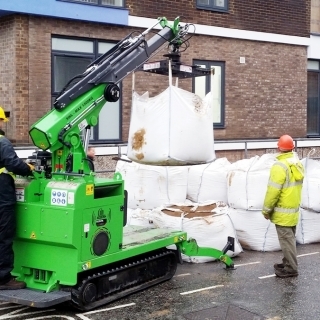 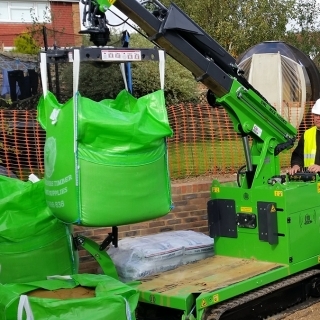 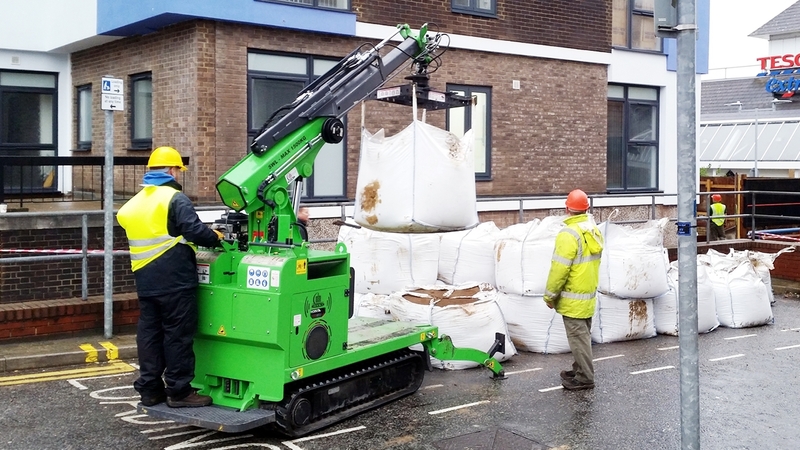 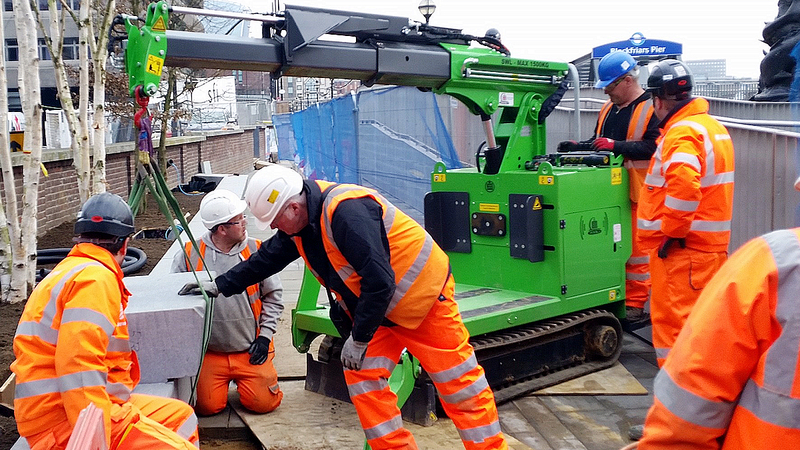 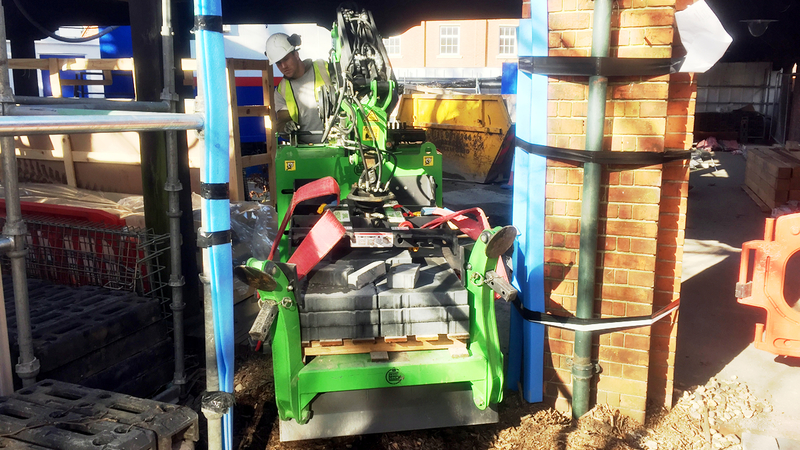 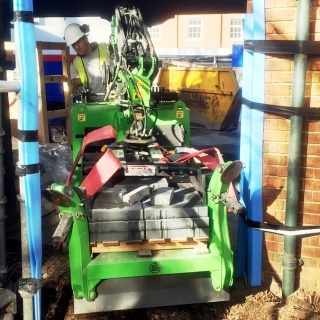 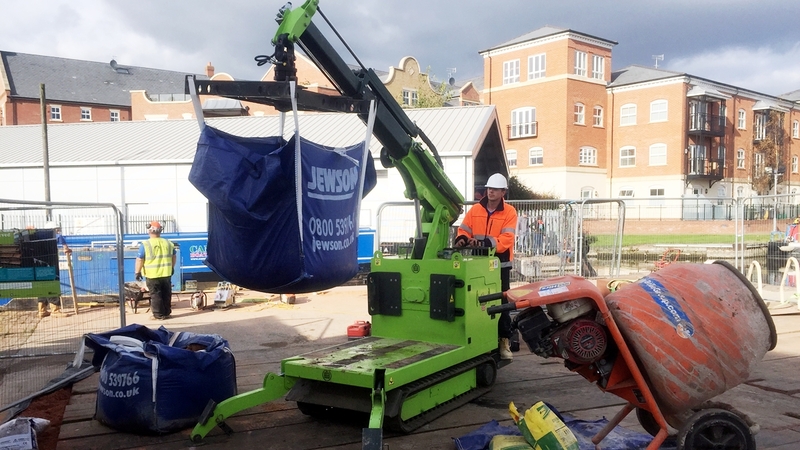 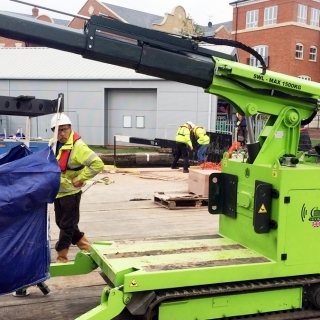 The Hooka, mini tracked crawler crane, takes the back pain out of moving bulk materials for LARC Construction and Vinci PLC on a project at Reading University. 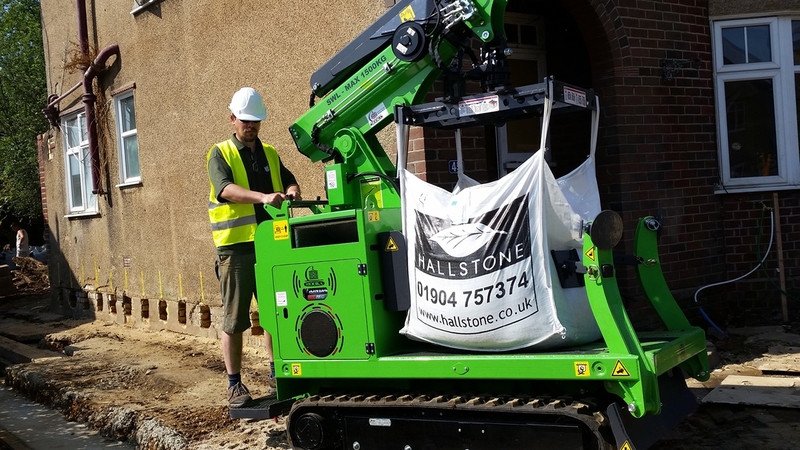 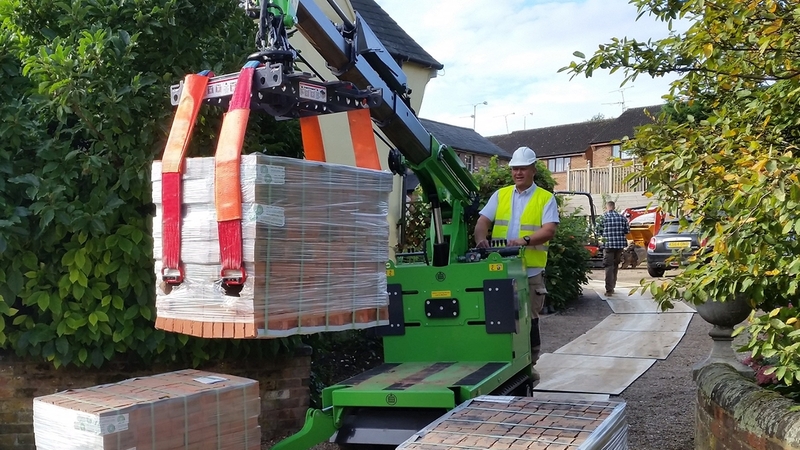 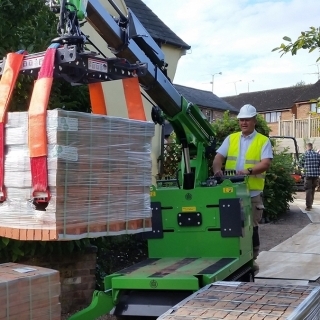 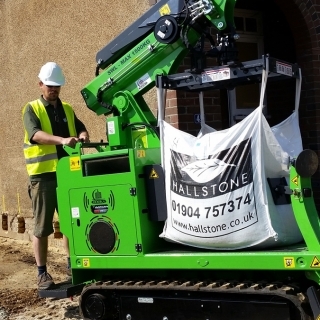 Helping ensure safe and easy lift and carry of all building materials. 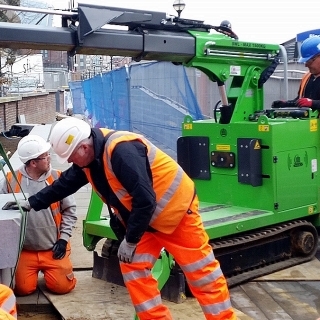 The Hooka, mini tracked crawler crane, being hired on a project for the refurbishment of the embankment alongside the River Thames in London. 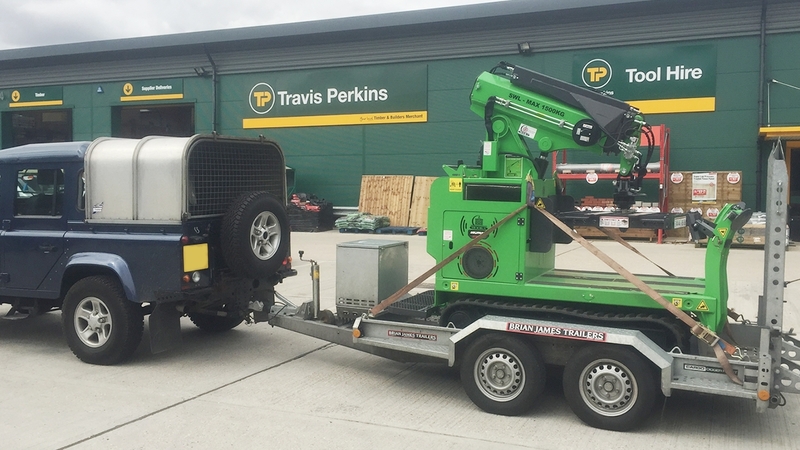 Due to restricted access the Hooka was the only machine capable of carrying out the work needed.